Kenya retained the bragging rights of the Elgon Cup with a 33-33 stalemate at Ngong Road in Nairobi on Saturday. This was in in addition to the 23-18 result they picked over the Rugby Cranes in Kampala last week as the Kenyan Simbas finished with a 56-51 advantage. It was however the Ugandan side that departs Nairobi on Sunday that left the famous Ngong Road Ground the happier of the two teams after picking a morale boosting draw. The game doubled as the start of the Africa Gold Cup a round robin tournament consisting the six best teams of Africa. 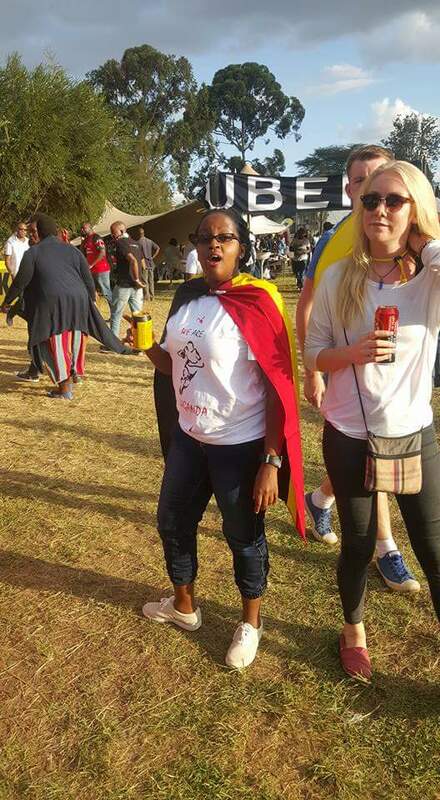 Rugby Cranes fans during the match in Kenya. It could even have been better for the Ugandans who held a seven point advantage deep into the second half only to concede a late penalty try. In addition to the loss at Kampala, the John Duncan coached Ugandan team had come into the game as underdogs having last won against Kenya in 2013 and in 2006 on their way to being crowned African champions in 2007. But they made a strong start with Phillip Wokorach looking to make amends for last week’s below per performance scoring a penalty early on. 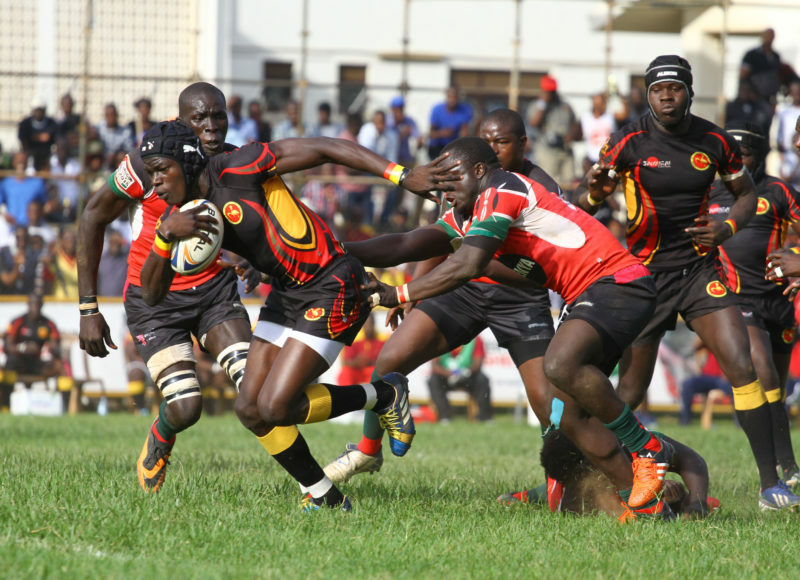 Uganda further seized the initiative with a Charles Uhuru try in a move that started in their 22 yard area. Wokorach found namesake Micheal whose offload to Ivan Magomu set Uhuru free to make it 10-0 as a sudden silence engulfed the home crowd. Kenya then began to pile on the pressure by camping in Uganda’s 22 yard area as captain Darwin Mukidza’s penalty to made it 10-3. They built on that as Jacob Ojee crossed the white line for the first of his two tries to make it a two point game. Like in Kampala, Uganda were punished when Pius Ogena was sin binned with Dennis Karani capitalizing for Kenya with a try to make it 13 all before Mukidza added a penalty to give Kenya 13-16 half time lead. Uganda opened the second half with a Brian Asaba try but Ojee responded for the hosts soon after as the two teams kept on exchanging leads. Wokorach and Magomu then combined for a beautiful sconstructed try but the Kenyans responded with Uganda repeatedly infringing in the 5-yard. The two teams are now level on two points while Zimbabwe leads following their 16-28 win over Senegal. 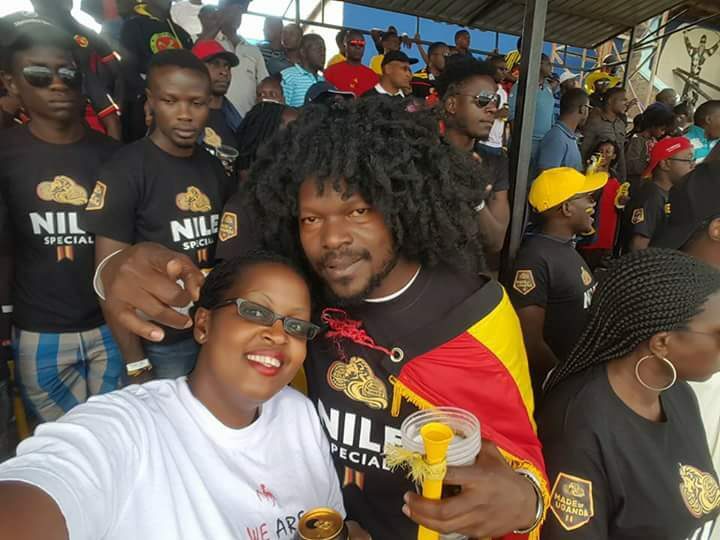 Uganda proceeds to play the latter next weekend while Tunisia hosts Namibia.